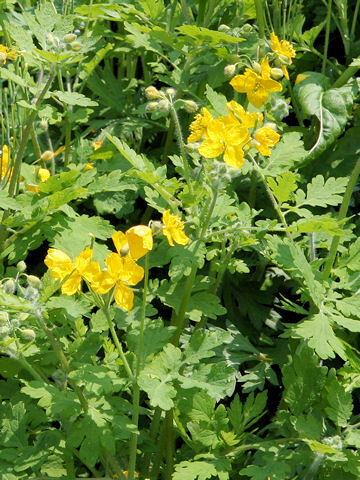 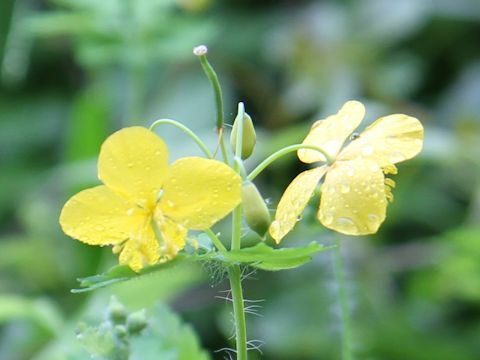 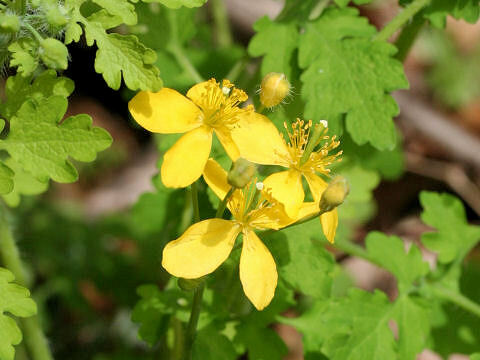 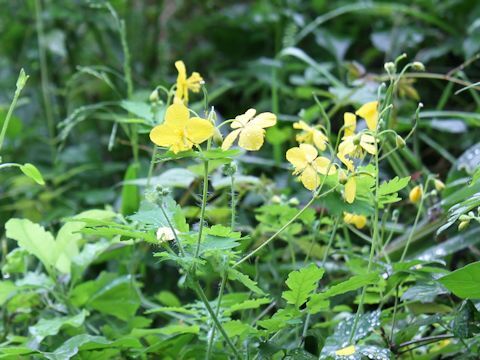 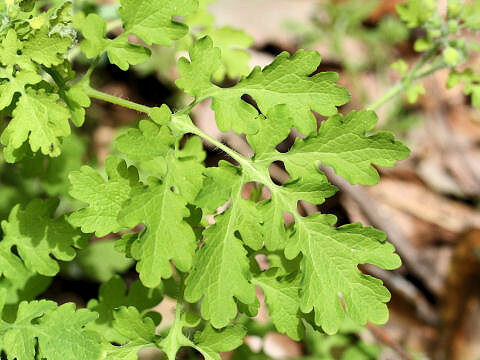 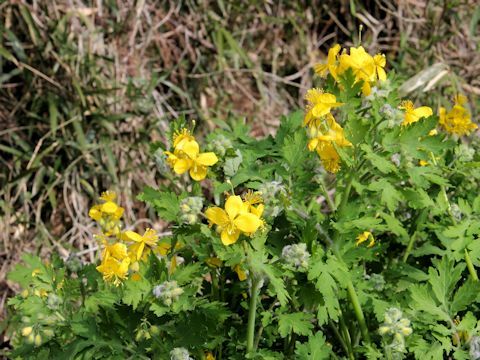 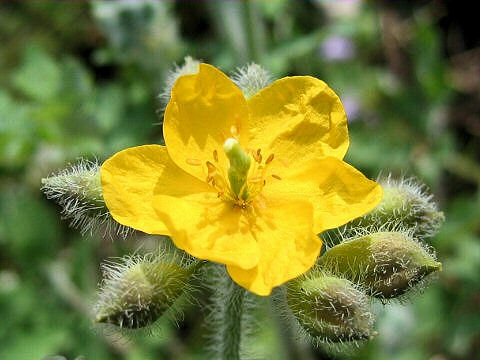 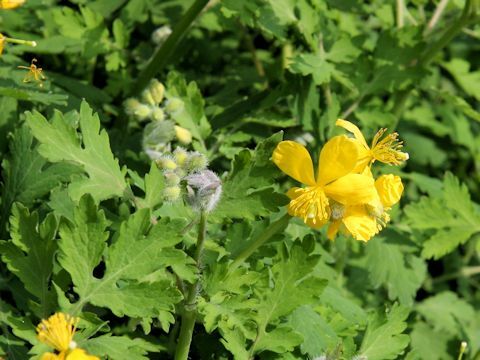 "Kusa-no-oh" (Chelidonium majus var. 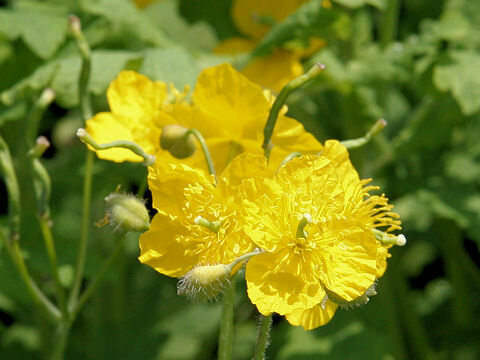 asiaticum) belongs to the Papaveraceae (the Poppy family). 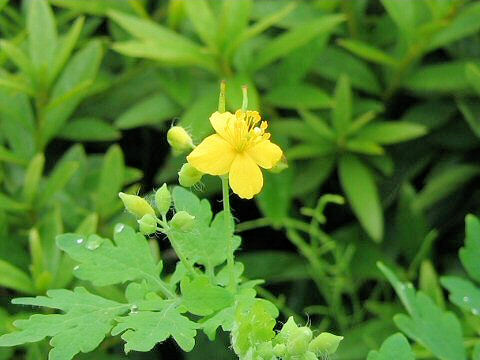 It is an annual herb that is native to Japan and the temperate area of Asia Esia. 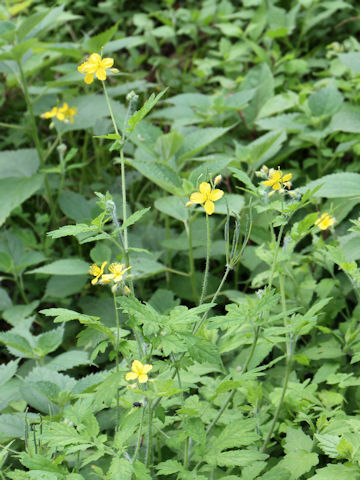 This herb grows in fields or forest edges and can reach 40-80 cm in height. 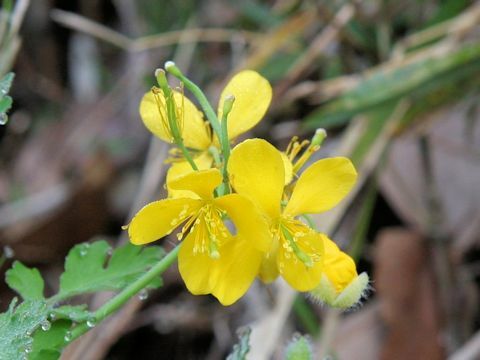 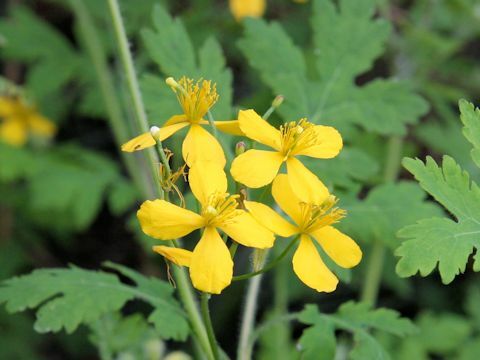 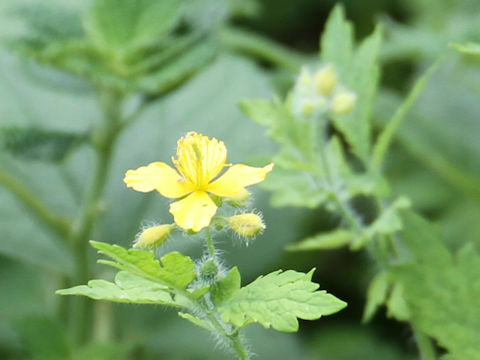 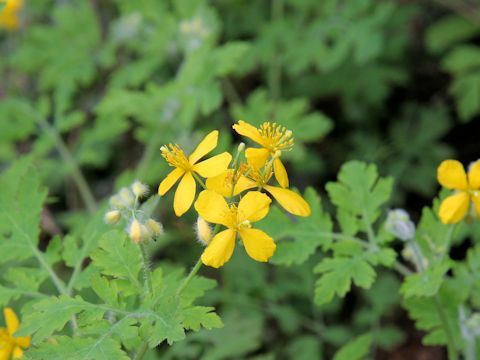 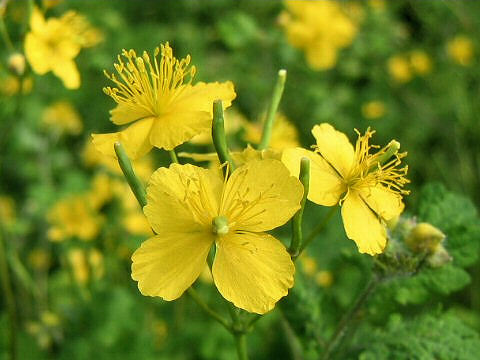 The flowers are bright yellow and appear from May to July. 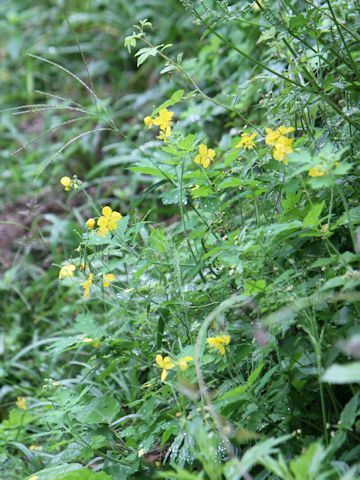 The yellow bitter sap ooze when breaked stems.